Go ahead and call it a comeback. The Bruins are used to it. After going down 3-1 early in the third period, the Bruins had to refer to the user's manual of how to construct an improbable comeback. But they already knew the nitty gritty on the details. They're the ones who wrote the book in the first place. With four unanswered goals in the final nine minutes of play, the Bruins catapulted themselves from 3-1 down to 5-3 winners over the Candiens. The best-of-seven series is now tied at one game a piece. 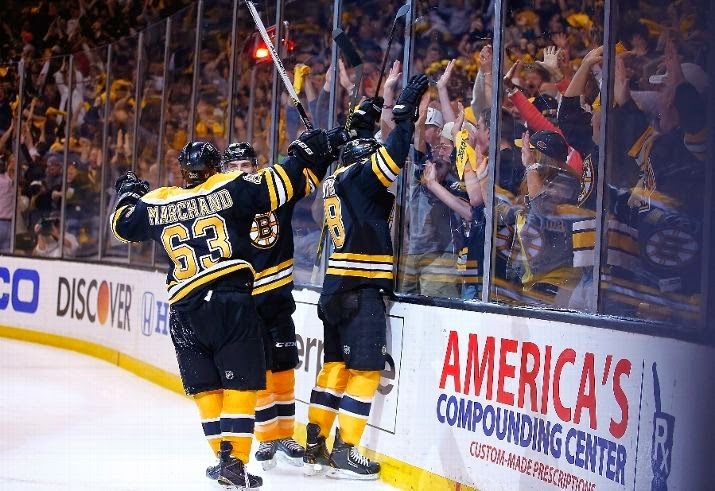 Daniel Paille, Dougie Hamilton, Patrice Bergeron, Reilly Smith and Milan Lucic scored the five goals for Boston. 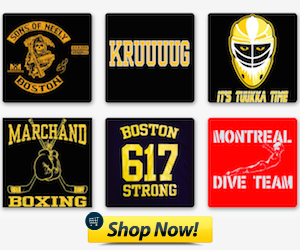 Tuukka Rask turned aside 25 shots for the victory, and for his first win of any kind over the Habs at the Garden. The game started out chippy enough, with Torey Krug and Rene Borque going off for penalties laid on each other, with Borque for a cross check and Krug for roughing. The Bruins played a pretty good first period, which was a vast improvement over the first 20 played in Game 1. First, however, the bad. The B's had 1:00 on the nose of a two-man advantage and they couldn't cash in on the opportunity. 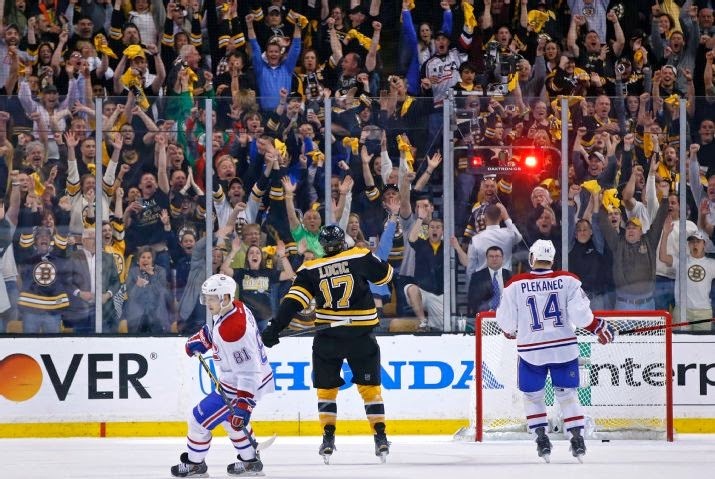 With Dale Weise and Brandon Prust in the box, the Bruins could not find the shooting lanes past the Canadiens defenders; they blocked about four or five shots, and with Carey Price still locked in from Game 1, the Bruins couldn't break through. Now the good. Daniel Paille got the Bruins on the board with the first goal of the game at 13:02, ripping home a wrist-shot from the between the faceoff circles that beat Price on the stick side. Carl Soderberg made the play happen, as he checked the puck at the blueline as he crossed, deflecting it out to Andrej Meszaros in the neutral zone. Meszaros fired the puck off the back boards behind the net, and it carried over to Soderberg as he drove the zone. Carl controlled the play and found Paille in open space between three Canadiens and capitalized on the chance. The other good: the Bruins were 2-2 on the penalty kill in the period, killing off both chances the Habs had and relinquished minimal attempts on net. The Bruins did a great job of holding their defensive structure and keeping the Habs to the outside along the boards. They also didn't allow P.K. Subban to launch any more of his rockets from the blueline. But that didn't hold true through the whole game, as we will see later on. If the Bruins didn't stage their epic comeback and will themselves to the win with three goals in six minutes in the final period, the middle 20 would have been the damning shadow on a very dire situation. Montreal tied the game just 1:09 into the action, when Mike Weaver fired home shot from the faceoff dot after a mad scramble in the crease left the Bruins disoriented and disorganized. The goal was almost a carbon copy of Montreal's go-ahead goal in the third period of Game 1, as well as the OT winner from the Rangers yesterday vs the Penguins. Brad Marchand turned the puck over in the neutral zone, and with the Bruins attempting to make a change, they were caught out of position all across the zone. After they thought they had the puck covered just outside the net, Tomas Plekanec fished it from the pile and skated around the back of the net to find Weaver ready and waiting. His shot found its way straight to the back of the net with Rask out of position in the crease. The Bruins were outshot 15-13 in the period, and their game saw more missed chances due to an inability to pull the trigger. With Paille skating on the third line, he found Loui Eriksson alone dead center on Carey Price in the middle of the ice. Loui waited and waited and waited trying to draw Price out, but the Montreal netminder cut down the angle on the shot and the chance went by the boards. 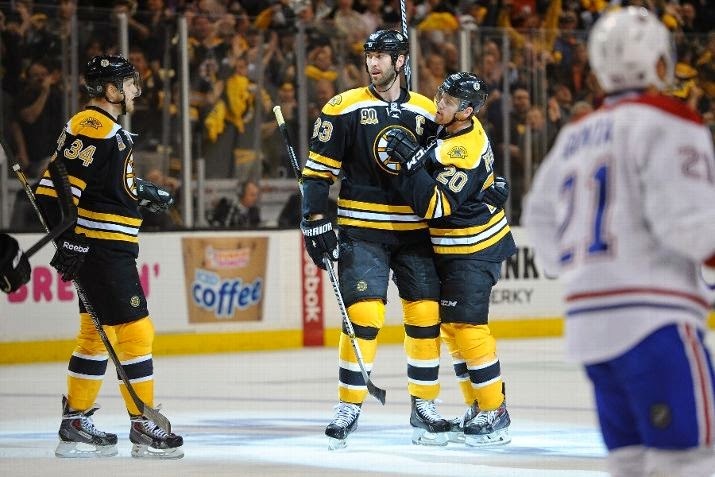 It was the Bruins' top-line of David Krejci, Milan Lucic and Jarome Iginla who got the energy back into the lineup when they crushed the Habs for a good 30 seconds straight and drew a penalty call out of their efforts. Iginla rang the crossbar in close, and the next shot from Torey Krug deflected off of Lucic's skate and off the post and towards the boards. Krejci drew the hooking call on Lars Eller a few seconds later. But the powerplay didn't produce a goal, leaving Boston 0/3 on the man-advantage. Torey Krug and Milan Lucic had two more glorious chances later in the frame, with Krug's coming off a Reilly Smith shot that ricocheted straight to Krug, but Price was able to get across the ice and save it. Lucic also had a chance on the backhand in close to the net but Price got the left pad save on the attempt. The you-know-what began to hit the fan when the Bruins took three straight penalties to close out the period. Krug went off with matching roughing calls with Eller, and after Andrej Meszaros got called for his own roughing penalty, the Habs had a 4-on-3 powerplay to work with, and they made it count. Thomas Vanek got the stick-deflection on Subban's shot after he got inside position on Zdeno Chara to put the Habs ahead 2-1. The frustration was boiling over after the goal, and Jarome Iginla and Brendan Gallagher got into a serious jawing match, and the refs decided to give the Bruins an unsportsmanlike penalty after the fact. The B's had fallen into the trap and took the bait. They let the Habs crawl inside their heads and Boston lost their composure. Even though the Bruins killed the penalty at the start of the third, it showed signs that the emotions were getting the better of them and directly affecting their ability to focus. Six minutes out from intermission, Dougie Hamilton took an interference penalty on Gallagher, and the Habs scored again on the man-advantage, and it was again Vanek deflecting a P.K. Subban shot that did the trick. All that I said before about the Bruins closing down on the Habs' shooting lanes on the PK? They let their guard down for one second and Subban capitalized. He launched his trademark bomb from the blueline, and Vanek got a premium deflection on it to beat Rask at 6:30. 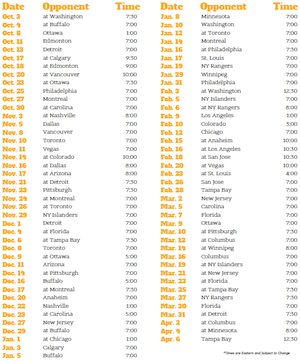 It seemed from there that the Bruins had finished their implosion on home ice. They let the weasely play of the Habs get to them the period before and it cost them on the scoreboard. They hadn't been able to generate many premium scoring chances save for a few along the way after Paille's goal. And with the clock ticking down, it looked a fait accompli that Boston was heading for an 0-2 series deficit. But it's never over 'til its over. Three goals in 5:32 will prove it. First, it was Dougie Hamilton who got one back for the B's four minutes after Vanek's second goal. The Bruins entered the zone and Brad Marchand was able to wheel back around off near the boards and find Hamilton just inside the blueline. Dougie lined up his shot and wristed it past the screen in front for his second goal of the 2014 playoffs. The comeback was on. Three minutes later, Patrice Bergeron fired home the one that tied things up with his second of the playoffs. With the second line doing the dirty work in the corners, Marchand was able to find Bergeron with just enough open space along the boards. Bergeron's shot dipped off the ice and launched 10 feet into the air and over Price's shoulder. Game tied. But that wasn't good enough for the Black and Gold. 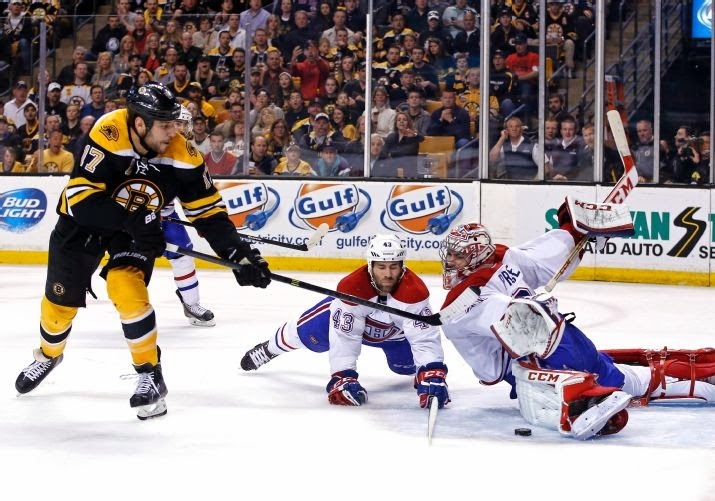 At 16:28, just 2:11 later, it was Reilly Smith who rifled home the game-winner past a downed Carey Price. The Bruins continued the pressure on the Habs, and with the trio of Smith, Zdeno Chara and Torey Krug working the cycle across the top of the zone, it opened up the Habs' defense just enough to find the seams. Brendan Gallagher got his blade on Krug's cross-ice pass to Smith, but it wasn't enough to break up the play. Smith gathered the puck and fired home. 4-3 Bruins. Milan Lucic added the empty-netter to seal the win for Boston. Four unanswered. 5-3. Comeback complete. Nuclear meltdown successful. Series tied 1-1. As the Bruins and their fans were staring down an 0-2 deficit with a trip up to the zoo that is the Bell Centre looming, things were looking dire for Boston. Like "Montreal again finds a way to ruin another Bruins season" dire. But the Bruins flexed their late game muscle and savvy yet again. They couldn't pull it off in Game 1, but they certainly did in Game 2. Games 3 and 4 will be in Montreal on Tuesday and Thursday, both start times just after 7:00 pm. Comebacks are always great. And I still can't really believe they won this game. But let's not save it all for the third period again. Just a small favor I ask of the skaters in the spoked-B.